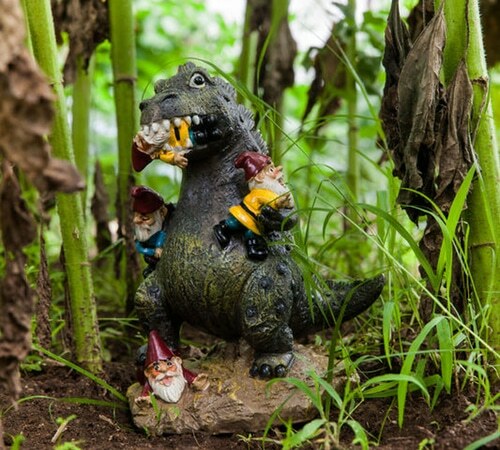 The Garden Gnome Massacre – what a momentous day that was. 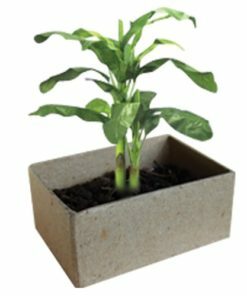 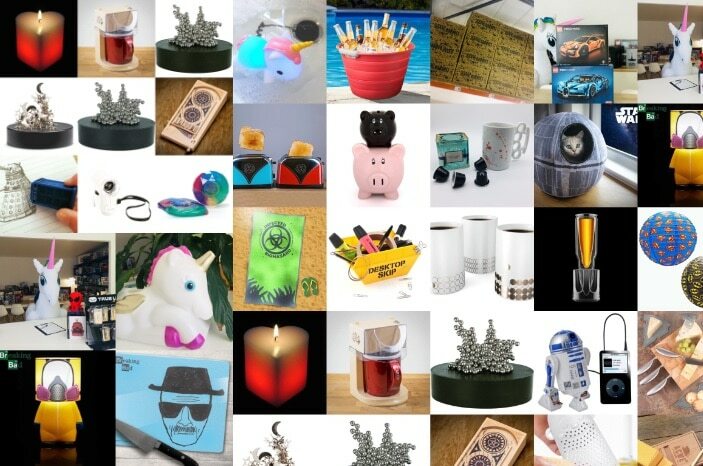 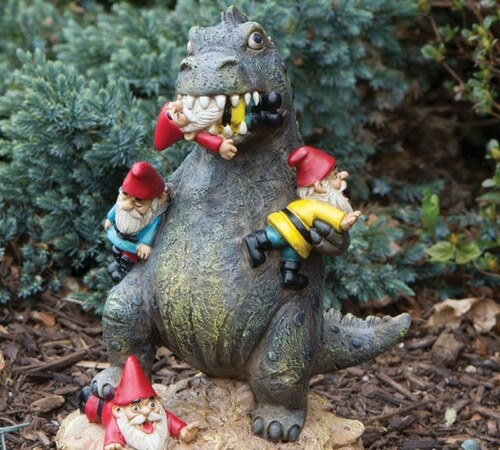 Thousands of tasteless lawn ornaments perished. 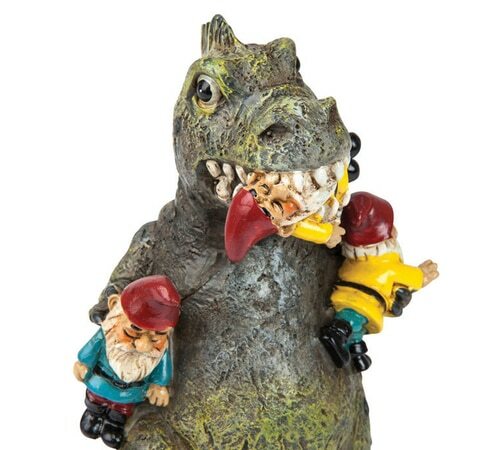 Red hats and fishing rods torn asunder. 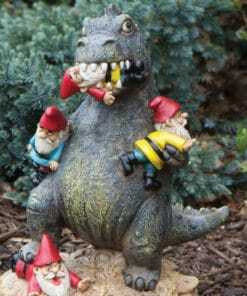 Patios and flowerbeds strewn with little ceramic limbs as this gargantuan beast laid down the law. 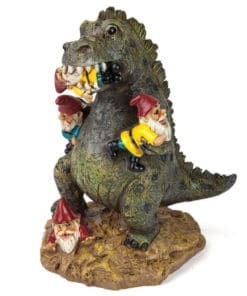 Some have named it the ‘anti-gnome,’ others brand it ‘Gnomezilla’ – we think it looks suspiciously like the Chewitt Monster. 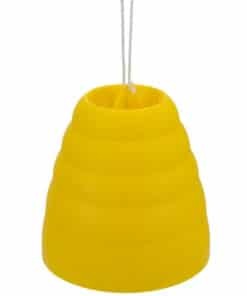 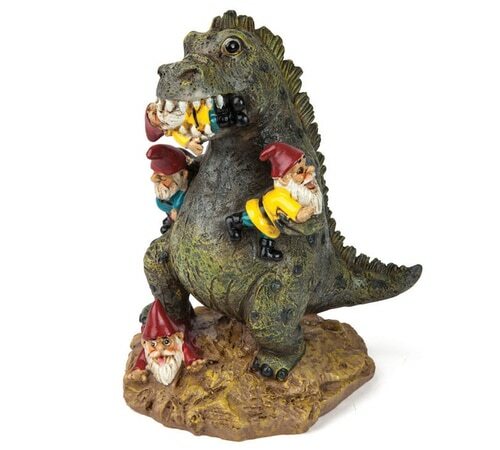 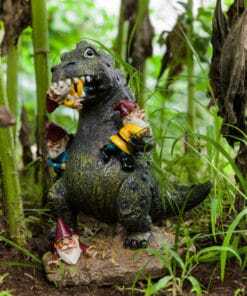 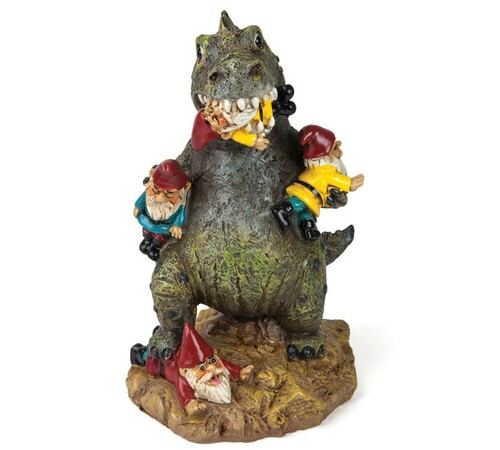 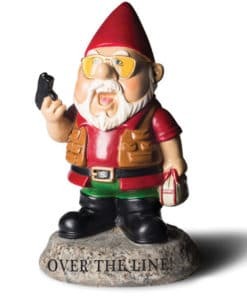 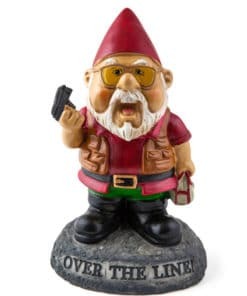 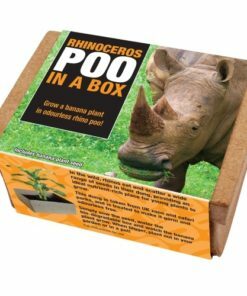 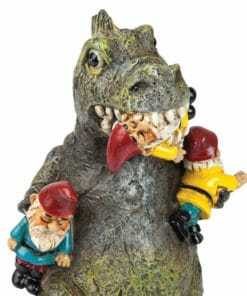 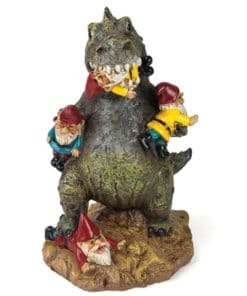 Call the Garden Gnome Massacre what you like; with snarling jaws full of razor-sharp teeth and scales made from a weather-proof polyresin, you can use this merciless creature to keep your garden free from those tacky bearded elves.